Last Updated: February 2, 2016 | Subscribe to our weekly newsletter! Your pool filter is a rather, well for lack of a better word, boring piece of equipment, but it is very important. There aren’t many moving parts on your filter and no electricity, but one thing that is present in every filter is pressure, and it is that pressure that drives the whole mechanism to carry on with its mission of cleaning your water. That is why you will find a little handy pressure gauge on the top of every filter. With it you can read the pressure on your filter and use that number as a guide to properly care for your pool. What Is Your Pressure Gauge? The pressure gauge is a simply little dial that is usually found on the top of your pool’s filter system. Most include ranges from 0 to 60 pounds per square inch (psi) that indicate how the pressure is holding (or not holding) in your pool. Knowing how to read this little gauge is, as you may have guessed, key in understanding what is happening with your pool’s filtration system. While the gauge may be great and all, if you don’t know how to read it, it won’t do you very much good. So what is normal? Unfortunately, this number is relative. Ideally it is the number that you record when you first install your pool filter and everything in your pool is running just as it should. If you don’t have that number, then your next best result is directly after you have changed the filter or, at the very least, given it a good cleaning. Whichever route you have to take, make sure you record that number somewhere for future reference. 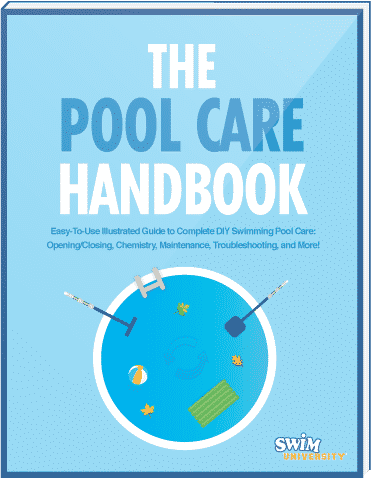 Now that you have the number, you need to make sure you start checking the pressure at least once every week as a part of your normal pool maintenance routine. So what happens if you check your pool’s pressure and it seems too high? First, what is high? Again there is no hard and fast rule here, but the generally accepted benchmark for you to go by is anything that is 10 psi higher than your normal recorded pressure. Basically, a high reading means that your filter system isn’t allowing the water to flow through it fast enough. This could mean that the filters need to be cleaned If you click this link and make a purchase, we earn a commission at no additional cost to you. or even replaced. Most of the time a good cleaning of your filters will take care of a high pressure reading, but sometimes you will have to replace the filters completely in order to get the pressure down to normal. Now your reading won’t always be too high. Sometimes it can be too low. This means that the water isn’t reaching your filter fast enough. Remember, while your pressure will fluctuate, it shouldn’t stray too far from your normal levels. In general, if the pressure is at least 5 psi lower than normal then a little extra attention is required. Because these means water is not reaching the filter fast enough, this generally indicates a blockage of some type or maybe even a leak in your system. First, check the pump basket and impeller for any debris that could be clogging up the system and make sure the main drain covers aren’t blocked. Check around your pump carefully to see if you notice any leaks. If you can’t resolve a low pressure issue on your own, then you may have to consider calling in a professional to track down the source of your pressure issues and fix it once and for all. 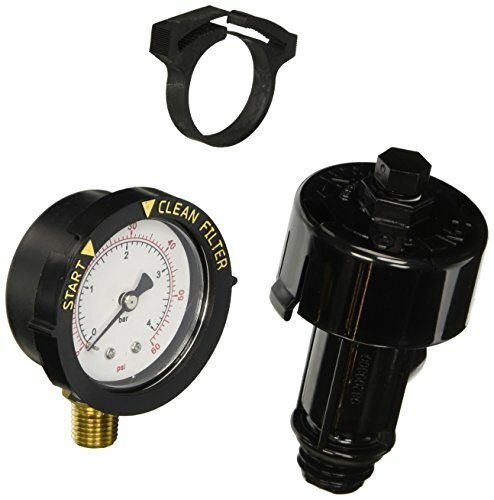 In addition to the pressure gauge, there is also a small air relief valve If you click this link and make a purchase, we earn a commission at no additional cost to you. that works alongside the gauge to maintain the proper pressure. Sometimes air can build up inside your pool’s system. This usually results from low water levels but it can even occur when you turn your pool off for an extended period of time or just stop it to take everything apart for a good cleaning. No matter why there is air in your system, the air relief valve is designed to provide an outlet for the air to escape when you turn your pool’s pump on. When water begins to flow through the system, it competes for space with the air and forced it through your system. The valve provides a means of escape for the air so your system isn’t damaged and it can reach the optimal water pressure. I have spent a good deal of time today talking about the various problems that indicate you have a problem with your pool. However, sometimes it can be a problem with the pressure gauge If you click this link and make a purchase, we earn a commission at no additional cost to you. . 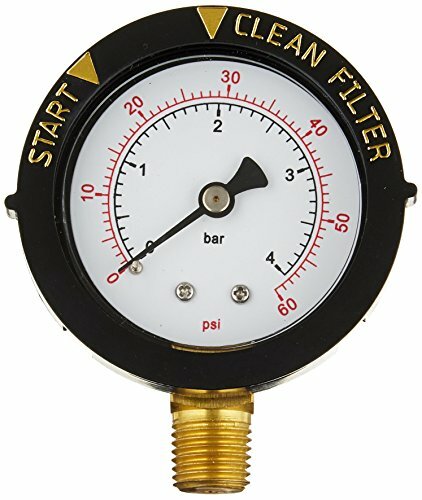 These gauges don’t last forever and usually cost less than $20 to replace, so you could actually have a problem with your gauge and not your pool. If your gauge has some age on it or it is cracked, you may want to consider investing $10 to check to make sure you really do have a pressure problem and not just a gauge problem. In the end it could save you quite a bit of money. While the pressure gauge is just a small component in a large system, its role is vital to the overall health of your pool. Remember to check it weekly and never ignore pressure problems of any kind. If you do, you could end up doing more damage to your pool resulting in much more expensive repairs down the road. So play close attention to that little gauge, it could mean the difference between a pool that is crystal clear and ready for swimming, and one that is broken down in need of major repairs. Sand and D.E. filters are effective for keeping your pool clean. To keep them that way, they need an occasional backwash. Learn why, how, and when.